In my animation i showed a bouncing ball that eventually exploded into a galaxy of stars and planets. i then had a star come up after the galaxy went away, showing my name and then i had the star go down. i chose this event to happen because i knew it would be fun to make. it was.. i learned how to use the app flash and i learned how to make multiple frames turn into a short movie with using the button function f6. i liked this project because i enjoy drawing so this was fun for me. In this project i made the shapes transform into others while alternating colors in between them. I worked with shapes and making them change into other shapes. At first it was challenging but then it got easier. I spelled out my name with the letters and made them change into the next letter in my name while still alternating color between peach and blue. To make the letters i used the line tool and to make the letters change i used the free transform tool. I also used the FN button and the F7 button to make a new frame. i made a shape tween animation gif with the app flash and it was very fun. the gif was sort of challenging to make the shapes move at the same time and look controlled because i didn't know how to control them. this project was very fun and interesting to make. it didn't take me that long to finish it. The last two weeks i have been working on doodle for google. This contest is challenging but very fun and requires thinking about a futuristic world and drawing it on a template. It has been fun. My goal for the week is too finish up my future world and color it to look good. 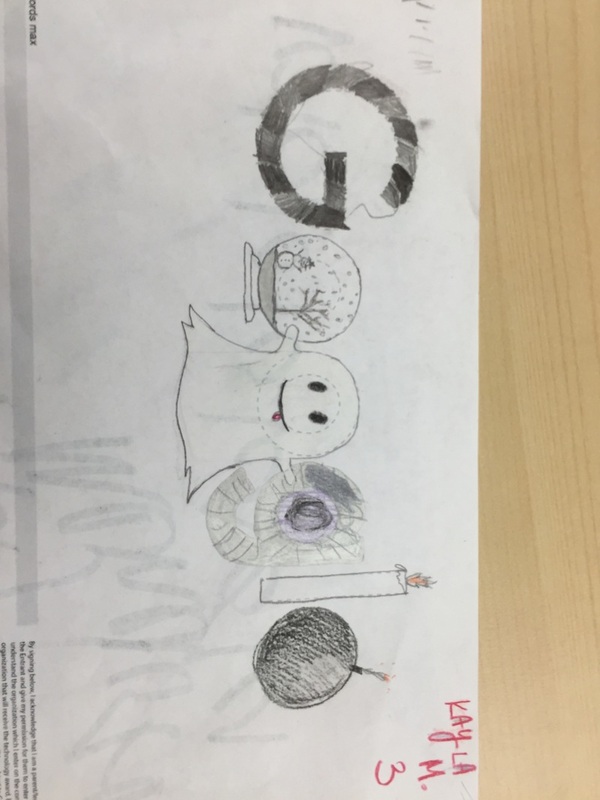 i have finished my doodle for google and i liked drawing it. The part i liked the most was getting to design the letters to make them look futuristic. I made it a black and white theme with all the letters. Right now i am working on my frame and adding in pictures. i want to finish editing the pictures and printing them on the photo printer. after that i think i want to just do small things and not big projects because we only have 10 days so i might just take my time on my photos to make them perfect and look nice in the frame i designed. I learned how to work as a team and use the big fancy cameras. i learned what most of the essential buttons did and how to use them. i also learned how to use flash and make a stop motion animation as a video. Now that i know how to use these things i can do a lot more than what i came here knowing. i also now know how to use the 3d printer. i made a halloween frame and that was fun. i learnt how to distance myself from irritating people and make sure that they don't bother me or distract me. this helped with my learning of these skills.